The sinoatrial node (SN) is the heart’s natural pacemaker, and it is located at the connection between the superior vena cava and the right atrial appendage in the superior part of the terminal groove. The terminal groove indicates the position of the attachment of the right appendage and the sinus venosus of the right atrium. 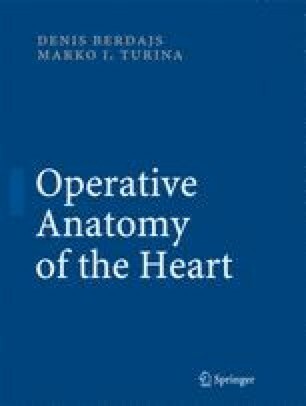 In most cases, the SN is found at the lateral anterior surface of the superior vena cava; however, it occasionally extends over the crest of the right appendage. In such cases, the SN exhibits a horseshoe form.